No Changes On Final Fantasy Versus XIII Being PS3 "Exclusive"
Square Enix's pledge of allegiance to the Xbox 360 platform in the form of a Final Fantasy XIII port may have shaken the PlayStation fanbase to its very core. The loss of yet another PlayStation 3 "exclusive" essentially makes message boards the equivalent of a dark alley for Sony devotees. 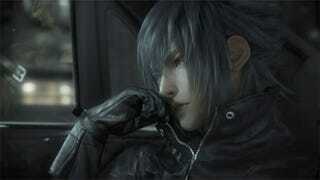 What about the other Final Fantasy XIII project, Final Fantasy Versus XIII? Shinji Hashimoto of Square Enix said at the publisher's press conference today that plans for Final Fantasy Versus XIII to ship as a PlayStation 3 exclusive haven't changed. Of course, we have no inkling about what exactly Square Enix's plans for the title have been from the get go, as the core entry, FF XIII, has long been touted as coming "only to PlayStation 3." Stay strong, console warriors. We think it'd be best to resign yourselves to the fact that third party console exclusives are but a thing of the past and that both Xbox 360 and PS3 owners will be enjoying the title by 2012.